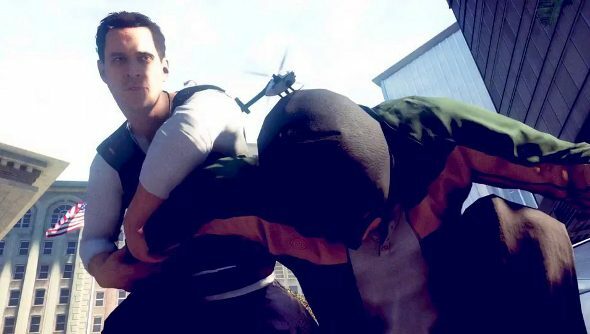 Battlefield Hardline’s delay until next year shouldn’t come as a surprise given how thin the beta was. It’s a smart call by Visceral. Despite the developer claiming that it’s not simply a Battlefield 4 reskin, that’s exactly what it felt like during the beta. Steve and Matt put some time into it, so check out Two men complain about the Battlefield Hardline beta. They were not impressed. Going from a launch in a couple of months to a postponement until next year does imply some extremely poor planning, but recognising the need for longer development and acting on it rekindles a bit of faith. It’s something I wish DICE had been able to do when developing Battlefield 4. Three of the things being focused on during the extended development are multiplayer “innovation”, single-player story depth and stability. The Battlefield titles have never been very good at spinning a yarn, so it would certainly be a welcome change to actually experience a narrative that isn’t simply a warm up to the multiplayer. What do you lovely lot make of the delay?